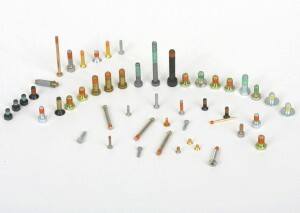 The small screws of 2 to 5 mm diameter are present on a large range of electro- mechanical equipments. 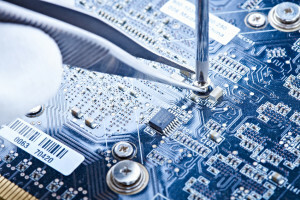 The pre-coating of the threaded parts with a micro-encapsulated adhesive ensures the braking system by bonding, but it also checks the sealing on most of the fluids. The pre-coating solution effectively replaces advantageously thread lockers during the mounting. As well as the gain in productivity during the assembling, the pre – coating guarantees the presence of a locking product and ensures a better control of the loosening and tightening torques. 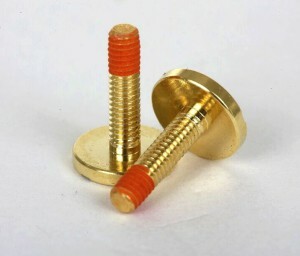 For the adjustment screws or for the dismantling of applications on a regular basis, we apply on the thread a polyamide patch which assures a relatively week but reusable locking. The parts can be mounted several times.